If anything sums up the sense of slaughter that came from the British experience of the First World War and how that affected so many families, it is a lot coming up in Bonhams’ November 21 Medals, Bonds, Banknotes and Coins auction. It comprises five medal groups awarded to the Maclear brothers, all of whom served as officers in the war. Three were killed. The lot, estimated at £7000-10,000, includes: a DSO group of six to Lt Col Colonel Harry Maclear (East Lancashire Regiment); the OBE, MC, group of six to Lt Col Ronald Maclear (Army Service Corps, late Middlesex Regiment); a group of six to Lt Col Percy Maclear (Royal Dublin Fusiliers); a group of four to Captain Basil Maclear (Royal Dublin Fusiliers) and a group of three to Lt Arthur Maclear (Army Service Corps). 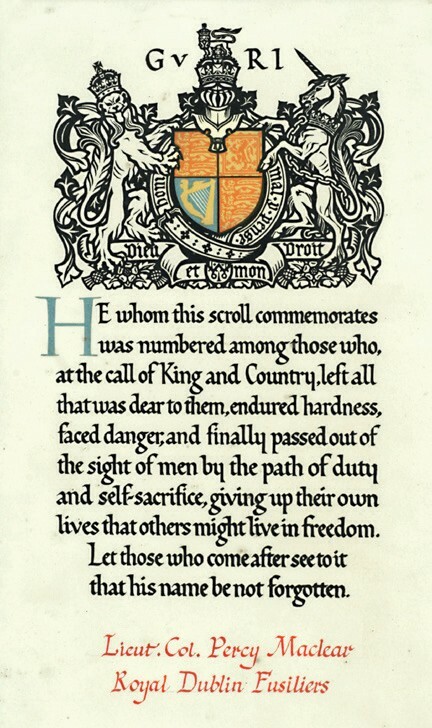 Harry died aged 44, in France on March 15, 1916, hit by a stray bullet to the top of the head, while serving as Commanding Officer of the 13th Royal Scots. 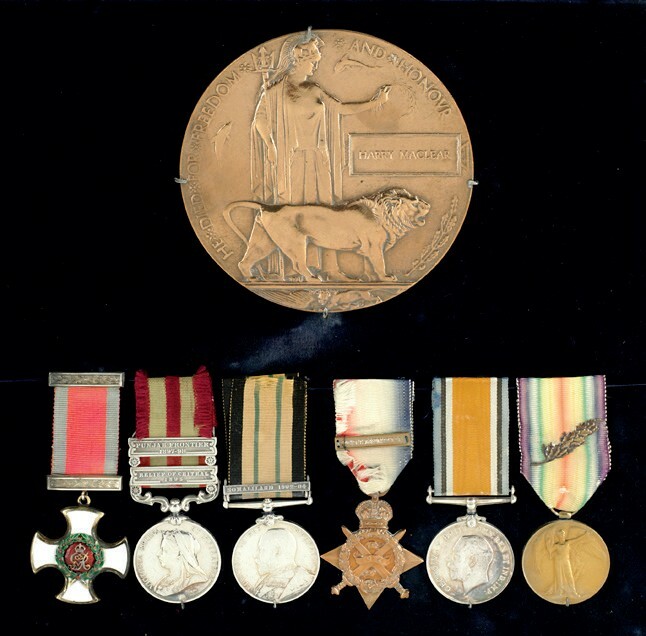 Percy was mortally wounded, aged 38, on August 30, 1914, when he gallantly led his force in an attack on a German emplacement at Garua in the Cameroons while on May 24, 1915, during the second Battle of Ypres, Basil led a bombing party to beat back advancing enemy groups when he was shot through the throat.